Are you guilty of phubbing? Read on for tips on how to keep your phone use in check, and the magic alive. 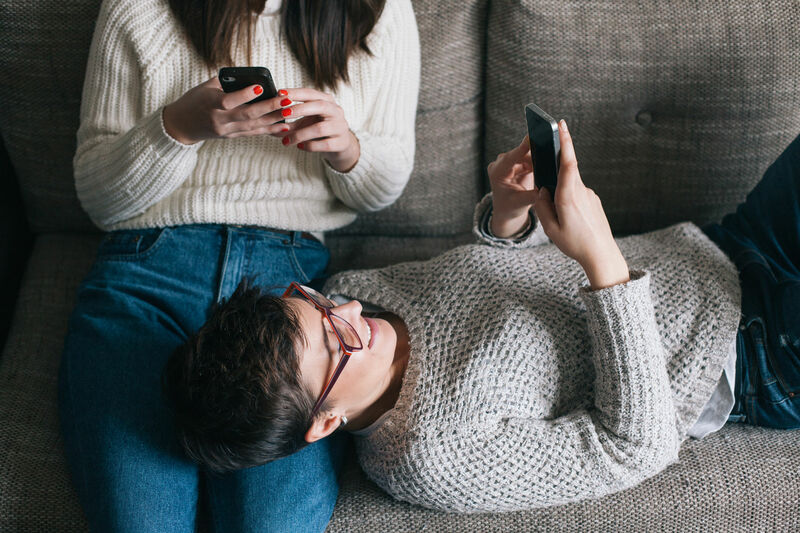 While today’s technology has given us ways of communicating like we never have before, it can sometimes feel like we’re more connected to our phones than to each other. If you’ve been mid-conversation with a friend or partner only to find yourself talking to the top of their head, you could be a victim of phone-snubbing, or ‘phubbing’. On the flipside, if you find it difficult to resist the urge to read a new message or check the latest snaps while you socialise in person, you could be falling into the ‘phubbing’ habit too. Either way, experts are saying it can affect your relationships. If you’re snubbing someone you’re talking to in order to look at your phone instead, it’s called phubbing. We’ve all done it, and chances are you can think of a few friends who always seem to be on their phones, texting while you’re talking. It seems the more that smartphone technology develops, the more we can’t put them down. A recent study by Deloitte found that Australians are accessing content via mobile phones everywhere they go, at all times of the day. More than a third of us reach for our mobiles within five minutes of waking up, and 70% admit to using phones during meals with family and friends. Is phubbing really that bad? According to Emily, the effects of mobile phone use and phubbing on relationships shows that it can be a real buzz kill. We find ourselves using our devices the most around the people we care the most about - leaving us little quality time for moments of real connection - the stuff relationships are built on." Use your phone’s settings to select only the notifications you really need, so you are interrupted less often. Do you really need an alert every time you get a new email or a new follower on Instagram? “It might feel uncomfortable initially but after a day or two you really won’t miss them. This creates more space for uninterrupted moments of face-to-face connection throughout your day,”, Emily says. Phubbing is just one example of how you could be damaging your relationships as you mindlessly scroll through your feeds. If the struggle is real for you, a bit of common sense and awareness around your phone use might just help you get back on track.